Let the music festivals begin! 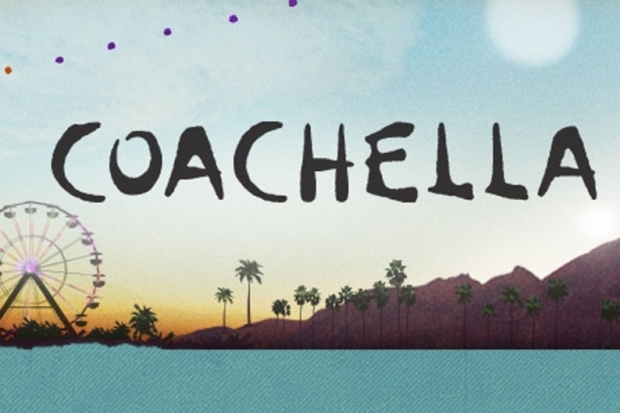 Coachella has announced their 2014 lineup, and judging from it, the Indio, California valley is definitely shaping up as the place to be this April. The festival takes place April 11-13 and April 18-20. Headlining will be OutKast (reunited, and it feels so good), Muse, and Arcade Fire, who headlined in 2011. Other performers include Disclosure, Neutral Milk Hotel, Lana Del Rey, The Replacements, The Knife, Zedd, Ellie Goulding, Queens of the Stone Age, Pharrell, Lorde, MGMT, Beck, and Calvin Harris. Check out the full list below. Typhoon is an American indie rock band from Oregon. The band has eleven members. They have released four albums, two EPs, a split 7-inch record withOlympia-based band Lake, and have contributed to a number of compilations. The band originated in Salem, Oregon in 2005 but is now based in Portland, Oregon. They are signed to the indie record label Tender Loving Empire. Typhoon’s music is marked by complicated arrangements and careful orchestration. Live performances routinely involve 12 or more band members playing at once. According to Lauren Rosenthal at mySpoonful which describes new music: “The group masterfully combines indie rock instrumentals and vocals with violins, percussion, hand claps, xylophone, horns and a choir of other instruments, making for inspiring and catchy songs. Their early recordings reveal a greater degree of experimentation with various styles, including a number of “sea shanties”, country western and Eastern European-inspired songs. Their more recent output, including their album Hunger & Thirst and its companion EP, A New Kind of House, show a more focused and consistent sound, and a greater focus on creating a cohesive thematic through-line. Many of the songs are preoccupied with mortality and directly reference lead singer and primary songwriter Kyle Morton’s own struggle with Lyme Disease as a child. Empire of the Sun is playing Warehouse Live in Houston Sept 20th! For tickets, click here. The band just released its latest album “Ice On The Dune” in June and the new single “Alive” is killing it – #1 Billboard Club Hit, #1 HypeMachine artist & track, support from KCRW & KROQ, performance on Jimmy Kimmel Live, press support from Rolling Stone, Billboard, Associated Press and more, plus an out-of-this-world video shot by the folks at JJ Abrams production company. DAD HORSE EXPERIENCE and THE LUKAS FAMILY to headline concert at Khon’s Rooftop. German Folk-Gospel singer makes Texas debut in Houston, Texas on September 13 at Khon’s rooftop (above Khon’s Wine Bar). date arranged via coincidence, but the subtle connection of Friday the 13 themes is serendipitously appropriate. first time in Texas, yet his style of “Keller Gospel” will sound right at home in Houston. visual show will match the rustic and traditional style of the performers with a nod to the modern. It almost felt patriotic seeing Yellow Red Sparks at Walters Downtown on the eve of July 4th. Maybe it’s because of their festive name. Maybe it’s because I am just a really, really good American. But it’s probably because their music is just so darn feel-good and nostalgic, that listening to it makes you feel like you’re spending the day on the beach or out sailing on a lake in the country somewhere, vintage polka dot bikini and everything. Yellow Red Sparks was originally singer/songwriter Joshua Hanson, who then recruited Goldy (drums/background vocals) and Sara Lynn Nishiwaka (upright bass/background vocals) to form the magnetic trio that they are now. Hanson is said to be the “genius behind the magic”, coming up with the band’s music and even winning the International Songwriting Competition for the YRS song, ‘Monsters with Misdemeanors‘. However, Hanson tells me that when the three play together is when Yellow Red Sparks truly feels “as one”. The band just started their second headlining tour, playing different bars and more intimate venues around the US, and they tell me that touring is their favorite thing to do. “The only thing I would change though is that I would hire someone to drive the bus for us [laughs],” Goldy says. And you can feel that emotion from the audience, as well. Their live shows are very humble, if that adjective makes any sense when applied to a concert. Whether they’re playing the folky and bittersweet-sounding ‘Buy Me Honey’, the up-tempo and sharp ‘Machine Gun’, or even the dramatic and eerie ‘A Play To End All Plays’, you still feel a sense of friendship and anxiety relief from their performances. With their overwhelming aura of knowingness and subtlety, YRS kind of seems like an ambitious group of friends from high school that just felt like forming a band and suddenly made it big. As well as sometimes bringing out the banjo, Sara Lynn stands behind Hanson on stage swaying back and forth, front and back with her upright bass, and it adds a certain classical feeling to the band, which is unique and specific to YRS. We got into the topic of music videos (Goldy suggested we watch one of his favorite videos, ‘Lotus Flower‘ by Radiohead) which got me excited. The band’s music video for ‘A Play To End All Plays’ is a little bit disturbing, in a good way, and they say that visuals are important to them, but it’s not something that they put all of their focus into. The trio collectively describe their music as “cinematic folk”, and it seems like the right direction for the band to start getting involved in film, which is something they’re very interested in. “Our music has been put in some films, but nothing you would know about – they were much more underground. It is something that we’re working on right now, because we’d love to do it and think that cinema is a good setting for the music. You might see something soon,” Hanson says. It’s something that could go two different ways, really. If you grab onto the mood of their songs, you could most easily imagine them at the end credits of a film, but if you listen to and comprehend their telling lyrics, you may start to think that Yellow Red Sparks is more suited to be read on a page or in a poem than to top off a movie-watching experience that may have been good or bad for the listener. There is too deep of a meaning in the band’s lyrics, and in fact way too many standout lines, for them to potentially be ignored. “For me, one of my favorite lines is, ‘And there’s one thing I’ll regret, but you’d be the last’,” Joshua says. Check out Yellow Red Sparks’ tour dates here, and watch their video for ‘A Play To End All Plays’ below.